Illuminate the aisle with classic colors. New Romantic Shades. Enhance the classic beautiful bride with a youthful air of self-expression using four sophisticated shades designed to elevate any wedding look. Just in time for bridal season, CND™ introduces limited edition Yes, I Do collection, featuring four romantic shades in neutral, milky and semi-sheer tones for wedding season. The collection is inspired by a classic wedding color palette, drawing inspiration from the small details that come together to create a magical moment, such as the bride’s bouquet and an elegant veil flowing seamlessly over a gorgeous gown. This collection intertwines the beauty of classic bridal sophistication with the fresh feeling of young romance, making it perfect for any bride. CND™SHELLAC LUXE™ COLOR COAT 1. Shake vigorously to blend. 2. 1st Color Layer: Seal the free edge and apply an extremely thin, translucent layer of CNDTM SHELLAC LUXE™ Color Coat to all five nails. 3. Cure for one minute (preset button 2S) in the CND™LED Lamp. 4. 2nd Color Layer: Seal the free edge and apply a second thin layer of color for coverage and cure for one minute. 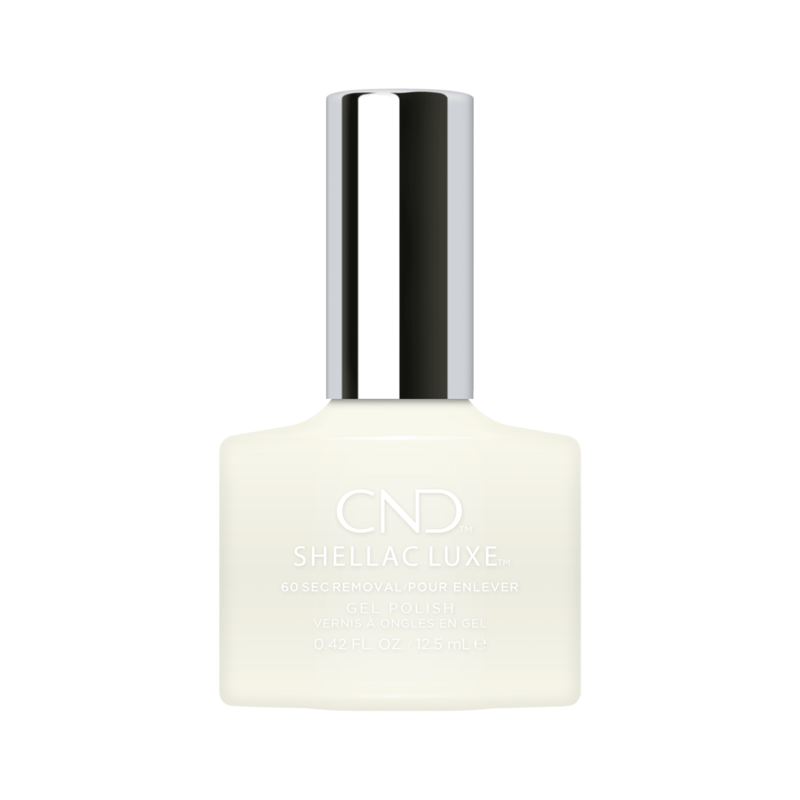 CND™ SHELLAC LUXE™TOP COAT 1. Shake to blend. 2. Seal the free edge and apply a layer of CNDT™ SHELLAC LUXE™ Top Coat to all five nails. 3. Cure for one minute (preset button 3) in the CND™ LED Lamp. 4. Remove the top lm with a plastic-backed, lint-free pad saturated with 99% Isopropyl Alcohol. 5. Condition nails with SOLAROIL™ Nail & Cuticle Care. REMOVAL 1. Throughly saturate the cotton pad of the CND™ Foil Remover Wraps with OFFLY FAST™; starting with the pinky finger, place the pad on the nail and tightly wrap all 10 fingers. Set the timer for 60 seconds. 2. Firmly press on the top of each nail, massage and twist the wrap from the nail while encasing the product within the wrap. Gently remove remaining product with an orangewood stick. (As an alternative a sponge may used.) 3. Remove residue using a plastic-backed, lint-free pad or a stiff manicure brush moistened with OFFLY FAST™. • Faster application and removal • Apply in 2 simple steps and remove in 60 seconds, saving an impressive 15 minutes on the length of an appointment • Delivers 14+ day wear with a high-gloss shine with no nail damage( when used as directed).